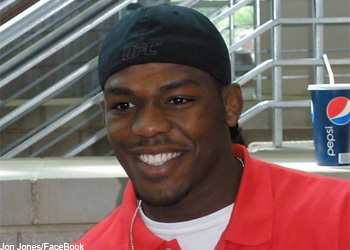 Just days before Jon “Bones” Jones takes on Vladimir Matyushenko, the UFC’s light heavyweight stud will be honored by the San Diego Padres this Friday, July 30th at 6:58 PM PT. One of MMA’s most athletic specimens will throw the ceremonial first pitch and kick off the Padres game against the Florida Marlins at PETCO park. While the toss is just for show, Jones intends to be packing some heat. The talented 23-year-old is a significant favorite to continue down his dominant path and bump his record to 11-1. Despite Matyushenko’s decorated resume, the Gambling Gods have pegged the journeyman a 4-to-1 underdog against the youngster. “UFC on Versus: Jones vs. Matyushenko” airs live this Sunday, August 1st on the Versus Network beginning at 9PM ET/6PM PT.